I feel like I have completely regressed in any sort of sewing ability I have (laboriously) acquired over the last 2 years, as sporadic as it has been. I have been doing some sewing, unfortunately, none of it successful. 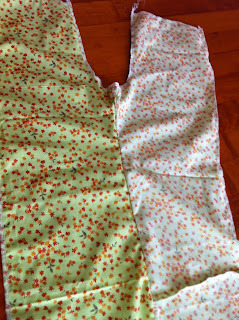 Just prior to giving birth, I sewed up a muslin of Kwik Sew 3513, which has been on my to-sew list for some time. 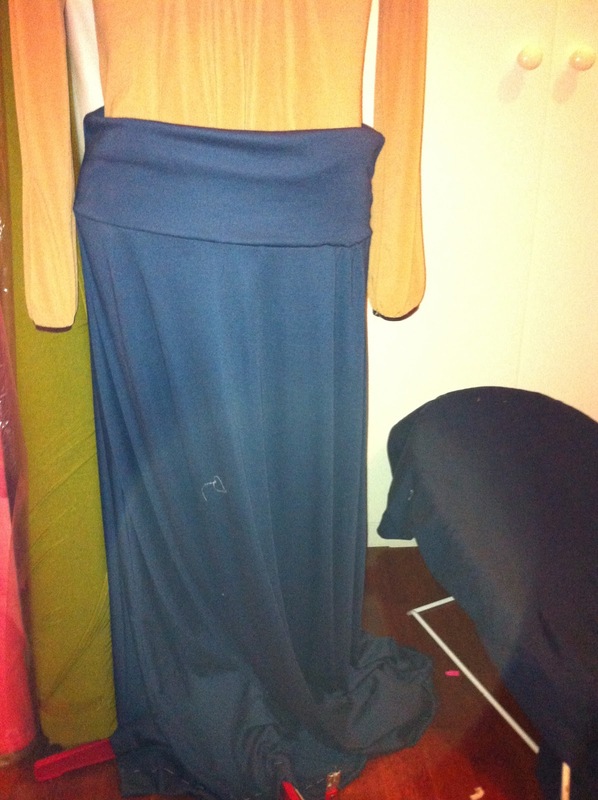 The test fabric I chose, is a similar coloured knit, an interlock I think, in a navy blue. 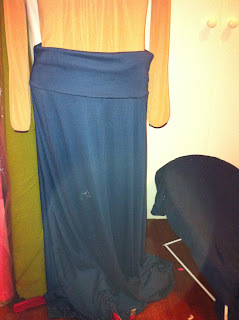 I figured, if I needed to tweak the garment a bit, it would not be a loss, since blue is not really my colour palette. Based on my normal measurements, and allowing for belly (being 37 weeks pregnant or so at the time), I chose to make it in a large. Big mistake. I was swimming in it, even at 37 weeks pregnant. It was falling onto my hips, off my belly. And to quote my husband, it was "frumpy" and unattractive. Not that attractive took precedence over comfort. But still...I had lengthened the skirt to ankle length also, and that was a nice exercise in fiddling and tweaking patterns, but the end result, I am sorry to say, was very very disappointing. I was deliriously happy at this stage. The neckline looked lovely, I was/ am getting better at binding necklines (on wovens anyway), and even the cap sleeve with gathers went in rather nicely, I think. And then of course, the bane of my life, so far. 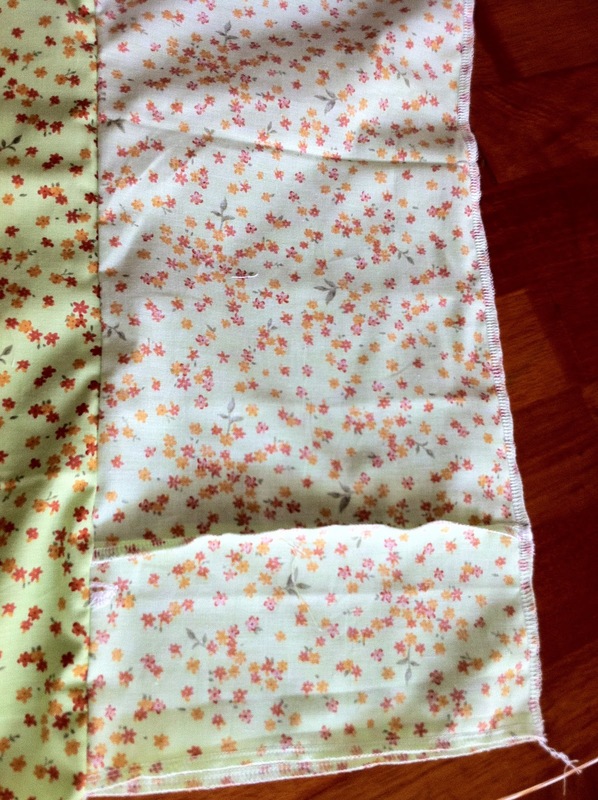 The attachment of the bodice to the gathered skirt, with an elastic CASING no less. What??!!! At this point I was ready to cry. The attachment put the bodice and V neck into all sorts of puckers where previously there was none. And the gathering was uneven, and ...yes, frumpy. And to add insult to injury, I had purchased this fabric from The Fabric Cave, at approximately $3/metre. And I barely managed to get enough for one tunic from it. Or so I thought. Yes, it is upside down. 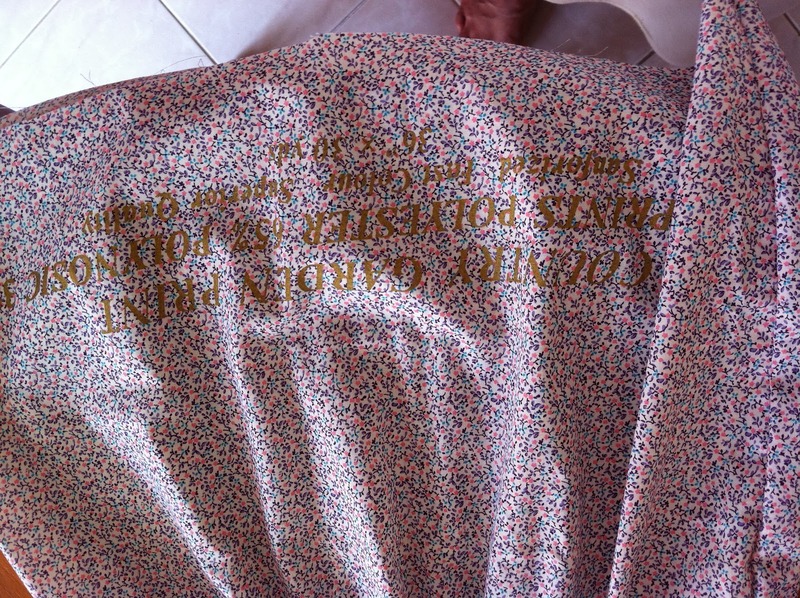 But printed at the edge of the fabric, in very large letters that do not and will not wash out, is this. And by the time I noticed and tried to shorten the tunic, it was almost a crop top. So...I figured, live and learn. 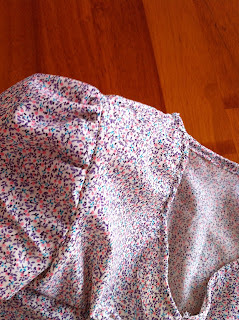 Lessons learnt for tunic tops number 2, 3, 4 and 5. Finally, the last couple of days, I cut out (finally) the first of several pairs of pants I am hoping to make my eldest girl. She has just turned 5, and is tall and skinny. 107cm about a month ago, and still fits in a size 2. RTW pants just fall off her now. So using the pants pattern in McCalls' 5794 also, I got out some quilting cotton remnant I had left over from the Waste Free Lunch Bag I made early last year. I cut out a size 4 after checking the length against DD1, and fiddled a fair bit to fit the pieces on the remnant, including cutting out one piece at a time. I did not have enough to make a regular length back piece, so I decided to add a design element, and add ruffles/ a seam to make up the length deficit. 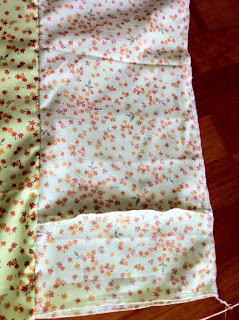 All seemed okay, and it was not until I was putting the pieces together that I noticed that in trying to use up all the fabric, I had actually cut out one of the pieces so that it has no complement. SO then, I decided since I was actually sewing, instead of dreaming of sewing, that I would just continue, use this pair as a muslin, check length, fit etc, and then proceed to the next pair. I had 4 kids underfoot while I was doing this, which might explain the next step. At this point, with 3 kids hanging off me and waking their month old baby sister up repeatedly, I think I should stop. I don't feel any more tired than usual, though clearly I must be, to have made so many mistakes, and silly ones at that. Never mind. Tomorrow (or even tonight) is another day. Maybe I'll try again when the kids are in bed, and I am not quite as distracted/ tired/ whatever. I'm sure practice makes perfect. Or something close to wearable? Pleased to see you have a blog! I find my skills regress when I've been sporadic, its almost like I need to constantly hone my skills or they become blunt. If I go for too long, it's like my hands are stupid or something. The brain knows what to do, the hands have no idea. Congrats on the little girl! Hi Imaan, I've sent you an email about the tutorials. Your baby is so beautiful. I have the KS skirt on my to-sew list for summer. I love KS knit patterns, but they definitely run large. I am still making an XS in everything and I'm at 5'6" and 142lbs. I think that skirt will be great once you size down. Well I know all about the wadder phenomenon. Someone at our sewing guild has a 99% success rate, so I asked her how she did it. Her answer, "I use the same patterns over and over and I've been sewing for 60 years." That's how you get success. Sometimes failure is the price you pay for having sewing adventures. Thank you for the comment on my blog! Your baby is a cutie; I'm amazed at all you get done! 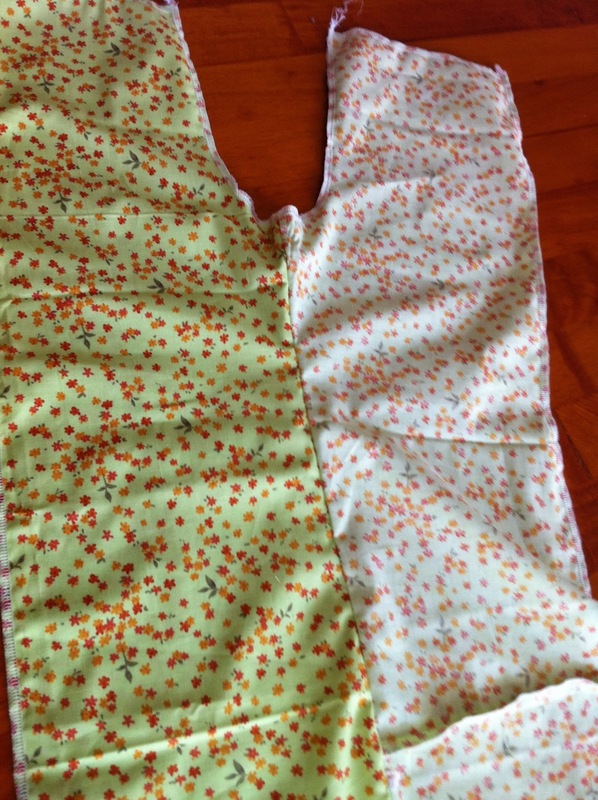 You'll be an expert kids' clothes seamstress in no time.